It’s already November – Our Dentist in Shawnee KS wants you to get the most from your benefits before the year runs out! Proposed treatment for which payment would contribute to medical tax deductions. At Dervin Dental, our goal is to provide you with quality dental services, if in that process we can help you maximize your dental insurance coverage, utilize your flexible spending funds or contribute to your medical total for tax purposes; we will be pleased to do so. We are here to help you! Preventative care is always the better choice, both financially and for your dental health. When you put off needed treatment, something as simple and affordable as a filling can turn into a much more costly and extensive root canal later. 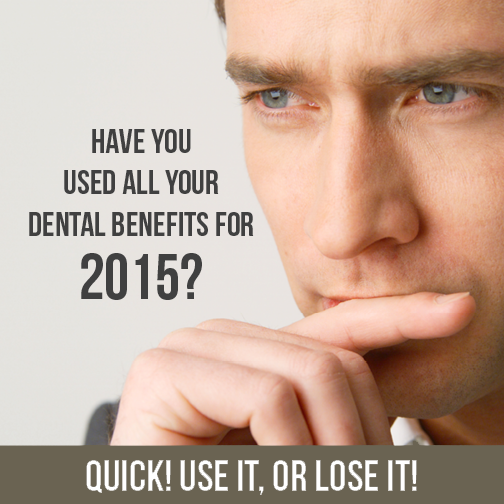 Take advantage of your dental benefits now and schedule any preventative care you or your family needs to get done. We encourage you to consider scheduling your appointment in the near future. Many patients wait until the end of the year to schedule and if you wait, we may not have a time at the end of the year that will be convenient for you. Contact our dentist in Shawnee, KS or call us at (913) 422-0875 today to schedule your appointment. We look forward to seeing you soon!